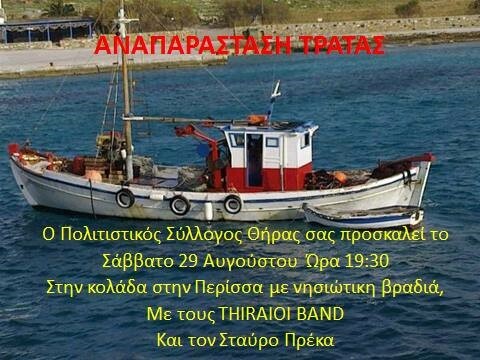 A reason to visit Perissa this evening is the fest organized by Thira’s Cultural Assosiation, the “Trawlers Fest”. 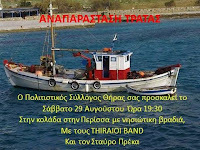 This fest is held in order to celebrate the old traditional way of fishing, when fishermen had no mechanical instruments or machines to use. They basically used their bare hands, and you’re going to watch a representation for old times’ sake.